Miss Arch asks custody of their son, Bella Jr., 6. She said they separated Tuesday after 11 years of marriage. 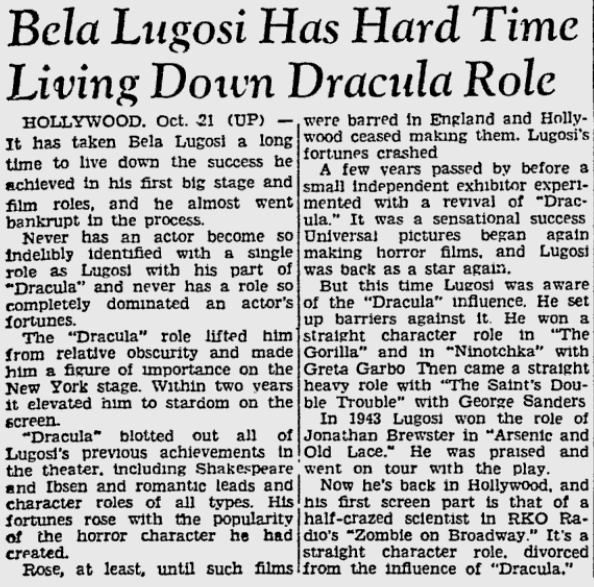 HOLLYWOOD, Aug. 18 – Bela Lugosi, who made a fortune out of being inhuman on the screen, gave her such inhuman treatment at home that it ruined her health. 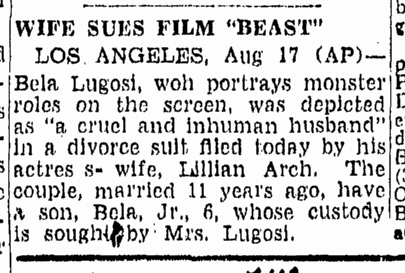 Mrs. Lillian Arch Lugosi charged today in a divorce suit. So declares his former wife, an actress, in her suit for divorce. HOLLYWOOD -(AP) – Love blooms again today in two Hollywood homes. Jack Lurue, exponent of gangster roles, and his socialite wife, the former Constance Deighton-Simpson, announced their reconciliation over the weekend. They separated Oct. 18 after six years of marriage. 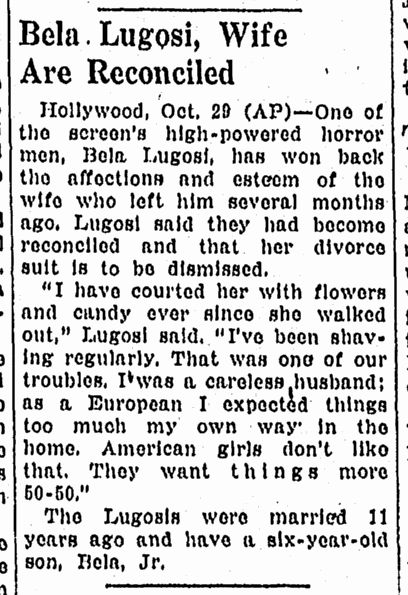 Bela Lugosi, specialist in horror characterizations, said his flowers, candy and regular shaving have re-won the affections of Mrs. Lugosi, who filed for divorce recently. The suit will be dismissed, he added.